Here at CES 2016, Chevy finally did what everyone expected: the automaker unveiled the production model Bolt, an all-electric car expected to be priced at or under $30,000. 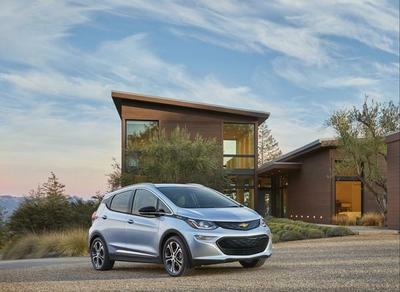 Chevy has already bet big on electric with the gas/electric Volt; the Bolt is a complete shift over to EV, a statement of intent to be at the forefront of the electric revolution over the coming years. Unfortunately, Chevy still hasn't shared the details people are craving most; we don't have a final retail price, and we don't know what the mileage will be. The company has previously said it's aiming for a 200-mile-plus range, and a price of $30,000 after federal tax breaks—but nothing is definitive at the moment. Still, that's pretty affordable for a car that's pure electric—something that will be very important if the Bolt is to become the every man's EV. "The message from consumers about the Bolt EV concept was clear and unequivocal: build it," said Alan Batey, president of General Motors. "We are moving quickly because of its potential to completely shake up the status quo for electric vehicles as the first affordable long-range EV in the market." Impressions from early test drives have begun flooding the Internet since GM took the stage at CES on Wednesday, and by all accounts the Bolt is shaping up to be quite the little EV. That's good news: in order for the Bolt to be a success with consumers, it has to have wide-scale appeal. That means an easy drive, affordability, and range. Basically, Chevy wanted to make a good car that happens to be electric. According to The Verge's test drive, the Bolt can go from 0-60 in about 7 seconds, which is par for the course for vehicles of similar size. The infotainment system, meanwhile, is described as being "crazy good," though that's by auto industry standards, which typically offers pretty awful infotainment systems. The Bolt is expected to go into production before the year is up, and be available shortly after. With Tesla's more affordable Model 3 expected to break cover this March, the Bolt will have some pretty stiff competition as the EV race heats up. That's great for you and me, as it means we'll have more electric options to choose from over the next few years. Now if only the auto industry will hurry and perfect autonomous driving.